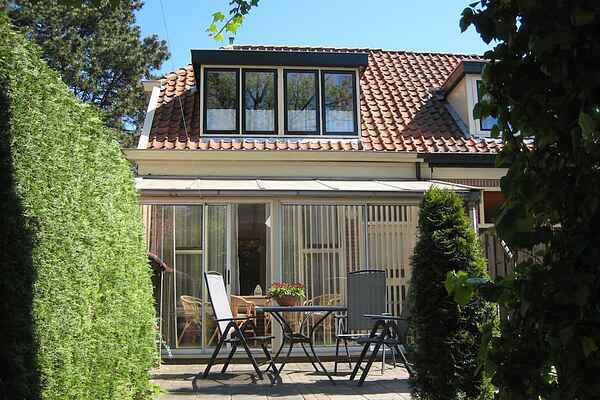 In a quiet street in the centre of Enkhuizen, the so called 'Boerenhoek' (farmers' corner), you will find this cosy holiday home with a small jetty. From the conservatory, you walk straight onto the terrace which looks out on a small canal. From there you can cosily float along to larger waterways. The home is within walking distance of a supermarket (150 m), but of course you could always go for a meal in the centre of Enkhuizen. Here you will find - besides good restaurants - pleasant shopping streets, terraces and the Zuiderzee museum. This indoor- and outdoor museum tells the history of daily life around the Zuiderzee. Enjoy a nice walk or cycling trip along the Ijssel lake or visit the other big cities of the region like Hoorn, Alkmaar and Haarlem. You will definitely have a good time!